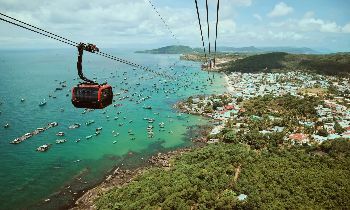 Being regarded widely as one of the most beautiful islands in Vietnam, Phu Quoc has increasingly attracted more and more visitors. Although tourism has relatively developed, there are still the unspoiled islands with the extraordinary attraction that can touch the heart of travelers. 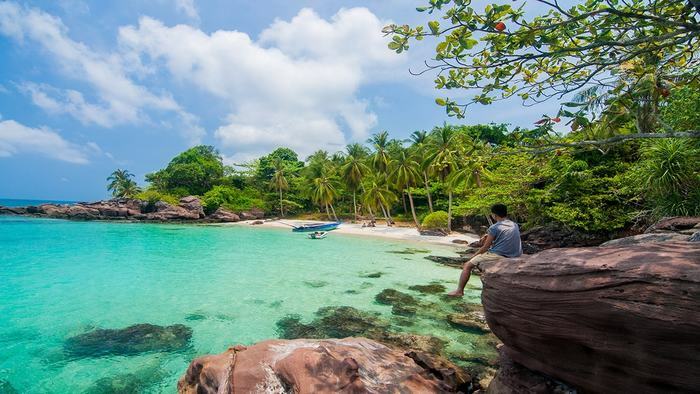 Here is our suggestion of the most pristine beaches for your Phu Quoc tour. At first sight at Fingernail Island, all you can feel is just beyond words. The beach is small, lonely and looks like a postcard image, with the jungle behind it. The sand is magnificently smooth and white. The sea water is clean, turquoise and crystalline. More excitingly, the view of the archipelago is marvelous. It may take 40 minutes to reach Fingernail island from An Thoi port. The duration depends on you however, you are highly advised to slow your trip down to enjoy the glorious scenery in this area. 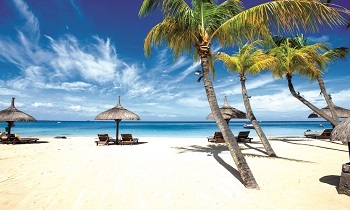 Besides enjoying the stunning natural landscape, you can pop up on the pretty beach and soak up in the cool water. The best time to visit Fingernail island is in the dry season (November to March) when the sea is calmer. You should explore the island in the early morning, ideally before 7 am since the island gets crowded very quickly. Arriving here before 7 am, you can have the island for yourself and enjoy the serenity. 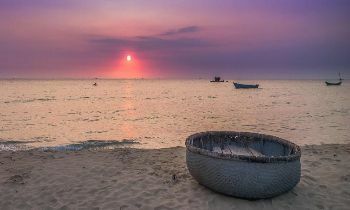 Mot island is a tiny island that is situated 20 meters off Bai Thom Village's coast. To reach Mot island, visitors will cross a bridge and experience the exciting feeling of walking on the sea. The very first glimpse you get of Mot island is the presence of water spinach growing well on land and the surrounding evergreen flora. You will feel like as if you are getting lost in a totally different world. The walkways are covered with water spinach with the purple fragile flowers. In Mot island, a rich flora system can be found. The perennial greenish forest shades form many pretty shapes. Visitors will feel as if they are lost in a fairy forest. Mot island's peaceful and refreshing atmosphere is perfect for those looking for isolation since Mot island nearly separates from everything outside. This island is not noisy but truthfully a deserted one. Along the paved road, there are small huts for camping, which is suitable for being a stop or hanging out with your fellow. 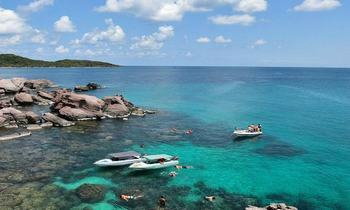 Moreover, the scattered patches of coral around the island are quite perfect for snorkeling. 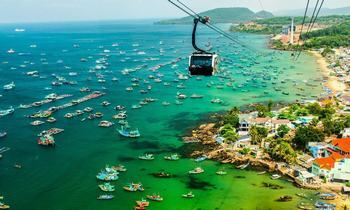 Located in An Thoi archipelago, Thom island was founded in 2003. 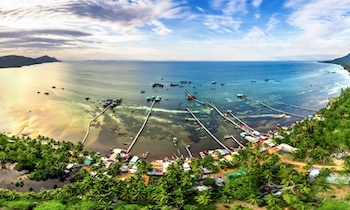 With the area of about 5.7 square kilometers, Thom island has the natural advantage for tourism and aquaculture. Thom island is famous for the soft silky white sand crescent shaped beaches, in which Chao and Nom beaches are considered to be the most beautiful ones. The North of Thom Island is the location of numerous undulating cliffs where sea waves hit the shoreline, creating splendid white foams. In the heart of the island is the lines of green coconut trees stretching so far away. 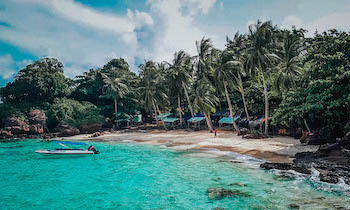 Thom island is one of the best places for snorkeling in Phu Quoc since there is plenty of beautiful coral reefs scattering throughout the sea. Let's carry a snorkel and mask and have a fisherman to take you to the main snorkeling spots. You will surely get the stunning moments. Additionally, if you look for something more adventurous, it's a good idea to conquer rock slopes in the autumn. Another choice is to squid fishing with the local fisherman. The special thing is the locals often do this job at night. They are always willing to guide you how to squid fishing as well as prepare local dishes for you. The sunset from the beach is breathtaking, which you shouldn't miss. 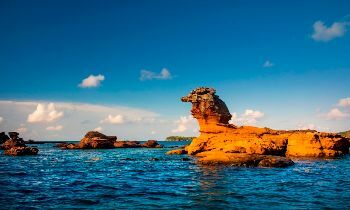 Located in the south of Phu Quoc island, Xuong islet has been still lesser-known, compared with other islets in Phu Quoc. The extraordinary of Xuong islet can't be described in words. 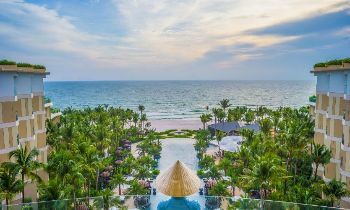 The beach on Xuong island is picturesque and travelers will feel like they are in the tropical paradise on earth. The sand is magnificently soft and white while the turquoise sea water is crystalline, clean and deep. Moreover, there is a huge cave with majestic cliffs. From this cave, tourists can lie on the beach and enjoy the spectacular view of the nearby Vong and Gam Ghi islands, especially when there are no boats around. Besides, this is an ideal spot for those who are passionate about snorkeling since there are many precious and pretty coral reefs. To reach May Rut Ngoai island, visitors must take a boat within 1 hour. The untouched beach is full of the alluvial sand and the clean blue water. Visitors can swim or lie on the hammocks, listen to the sea waves slapping or wander around the islet. 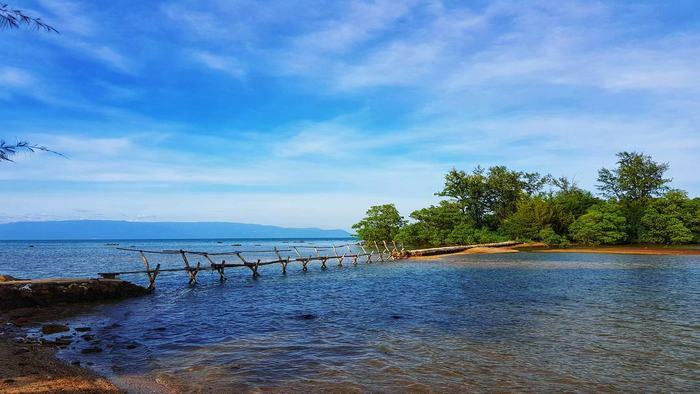 Holding the similar wilderness as May Rut Ngoai island, May Rut Trong attracts visitors by the stretching sloping beach, the fine white sand along with coconut lines quivering in the wind. The underwater ecosystem is the home to many species of fish and molluscs as well as the rare marine species. It's a good idea to join the snorkeling tour to admire the beauty of the colorful coral reefs. 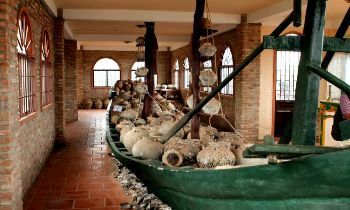 Tourists can also visit the squid fishing village or the floating house that is specialized in breeding rare seafood such as abalone, grouper cotton, sea cucumbers, and turtles. You are a nature lover? You are passionate about sea exploration? 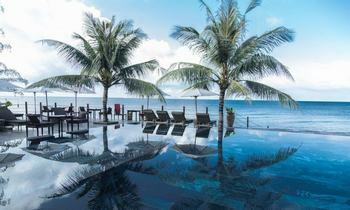 Phu Quoc, which is a tropical paradise on earth, is waiting for you. You will be surely excited to explore the pristine beaches such as Thom, Mot, Fingernail, Xuong, May Rut Trong and May Rut Ngoai. 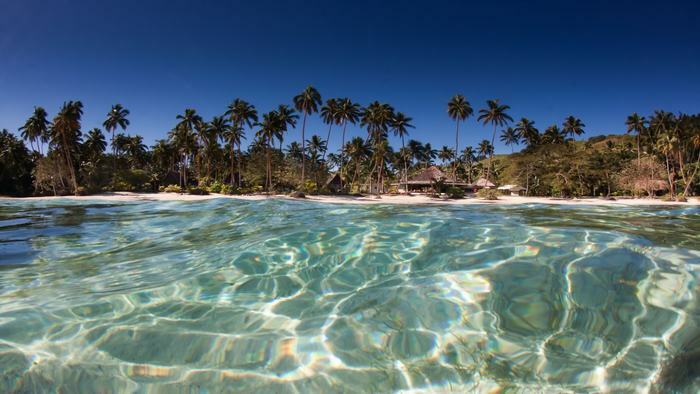 Do not hesitate to visit these islands and have a memorable trip.